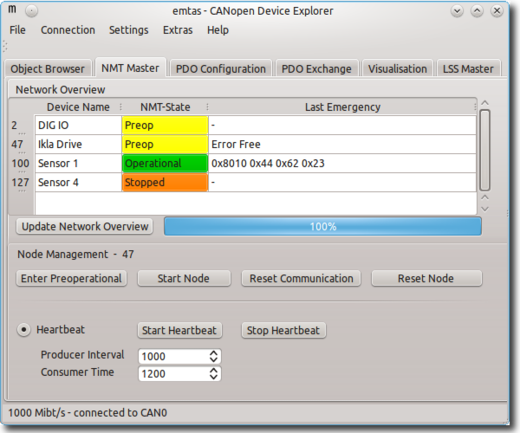 The CANopen DeviceExplorer supports the simple configuration of the the PDO mapping by drag&drop. PDOs can be sent, received and visualized with a single click. The SYNC message for sending of cycle PDOs can be sent once or cyclically for the purpose of tests or diagnosis. Please visit http://www.emtas.de/en/produkte for more information about our CANopen products.